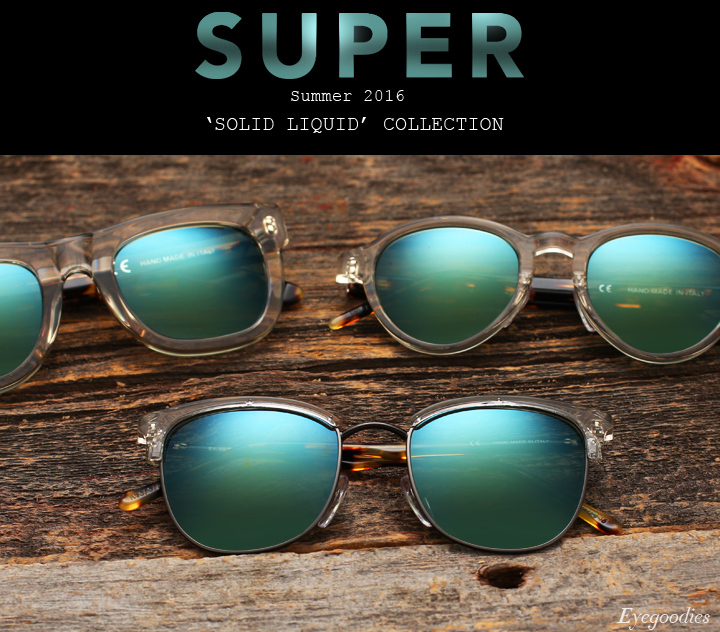 Super sunglasses has just dropped the Summer installment to their “Solid Liquid” collection. Picking up where they left off, the technical range splashes an assortment of color and materials, yielding some vibrantly fresh shades. A great example and one of our favorites this season includes the new “Sportivo” series; classic frame shapes, with a transparent smoke grey front, tokyo tortoise temples, and finished with petrol-green mirrored lenses. A well thought out and executed combo, blending old-school with new.